IT’S EVERYWHERE because I’m still up to my eyeballs in post-conference swag disorganization and my latest release, Sunlight’s Kiss is now available just about everywhere – Bookstrand, Amazon and Barnes and Noble. So, now that it’s available for virtually everyone with an e-reader I thought it would be a good time to hold a giveaway. Sunlight’s Kiss is the second book in my Demon Runners of Unearth series. It’s filled with mythology, smexy-times, demons, little creatures that go bump in the night and…the one thing I think all romance readers want…a happily-ever-after. To celebrate I’m giving away one grand prize and three first prizes. For the Grand prize I’m gifting a multi-author signed canvas tote from Lori Foster’s Reader Author Get Together, swag and a 25$ gift card to the ebook retailer of the winner’s choice. 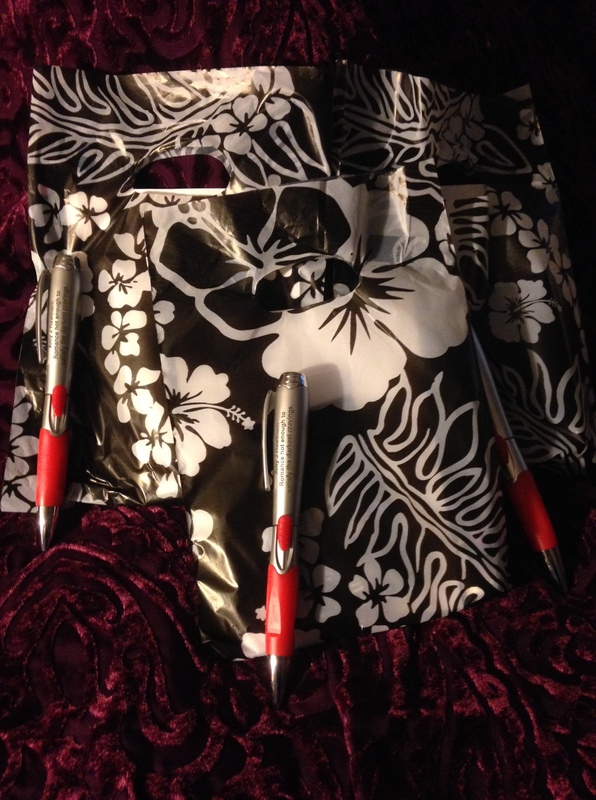 For the three first prizes I’m gifting a small goody bag and flashlight pen. 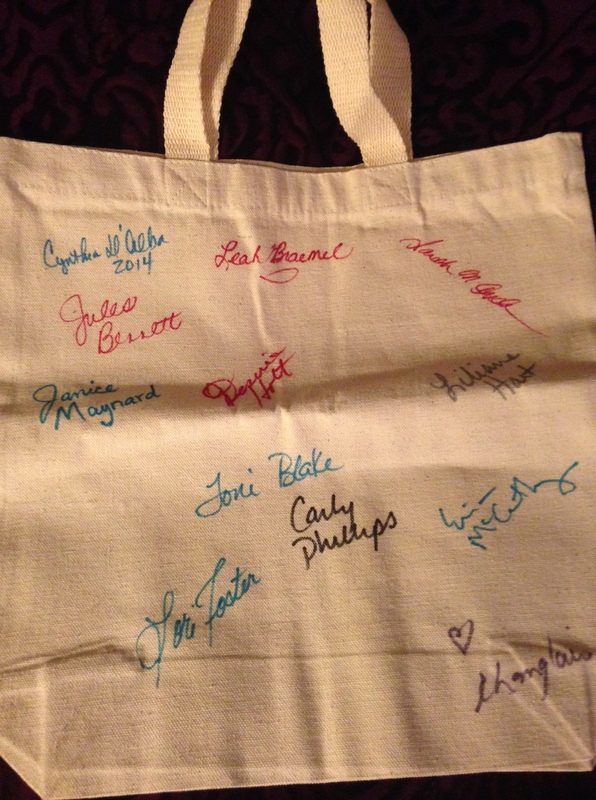 I’ll add a list of signatures on the canvas tote at the end of the post. 1 correct answer gets you 1 entry, 2 answers gets you 2 entries and 3 correct answers gets you 3 entries. 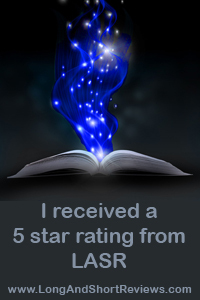 And if you leave an honest review for any of my books, send me the link in your email and I’ll add 2 bonus entries. I’ll close the giveaway on July 3rd, count the entries, select the winners and notify them by email. That’s it. I’m looking forward to hearing from you! 2 – What “old friend” does Diane say goodbye to in the shadow garden? 3 – Who is Azrael’s apprentice? Right this is just the kick in the teeth I needed to get on and find your book in my TBR pile only to find it is absent…. Crisis averted I have purchased and will read asap. I hope you had a great time at RAGT and thanks for sharing with us readers.